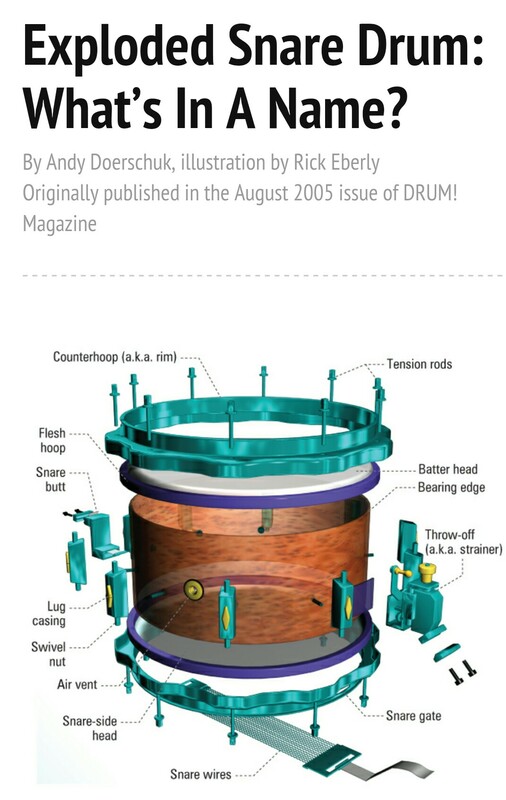 …what the various parts of a drum are called. Searching on the web for an image to help identify the parts of a snare threw up an incredible amount of misinformation. The image below is both clear, good and correct.